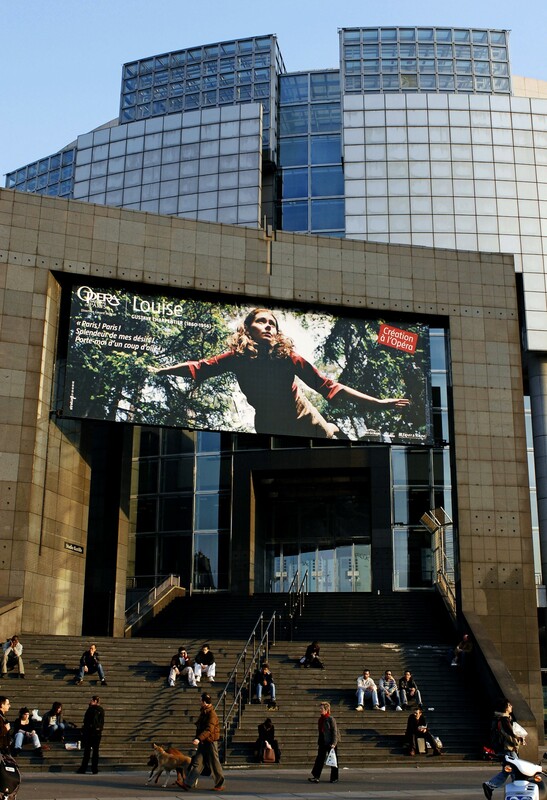 A big tarpaulin featuring an image from Eija-Liisa Ahtila’s work THE HOUSE was hung on the front of the Opera Bastille to announce the new production of the opera Louise by Gustave Charpentier. The House, which premiered at Documenta 11 in 2002, is based on interviews with women who suffered from psychosis. It was created based on these interviews, and shows a young woman called Elisa in a house in the forest. While she is staying at this house Elisa begins to hear voices whose origins she can’t make out and which collide with her perception of the world. In order to follow these sounds and keep the images evoked by the voices out, she locks the doors and seals the windows with dark curtains. As the film progresses the loss of any sense of space and time becomes more and more apparent. The natural representation of the environment and its logic appears side by side with the imagined and unfamiliar and both seem to merge occasionally, for example when Elisa temporarily floats above the landscape. The film depicts the disappearance of familiar structures of spatiality by giving audiovisual form to the collapse of any logical perception of the world. Elisa’s psychoses literally enable her to achieve another, parallel perspective on the world. The literature on Eija-Liisa Ahtila’s works often uses the term “human drama” to describe the fact that her works do not focus on great catastrophes but rather on individual misfortune and its effects on people. 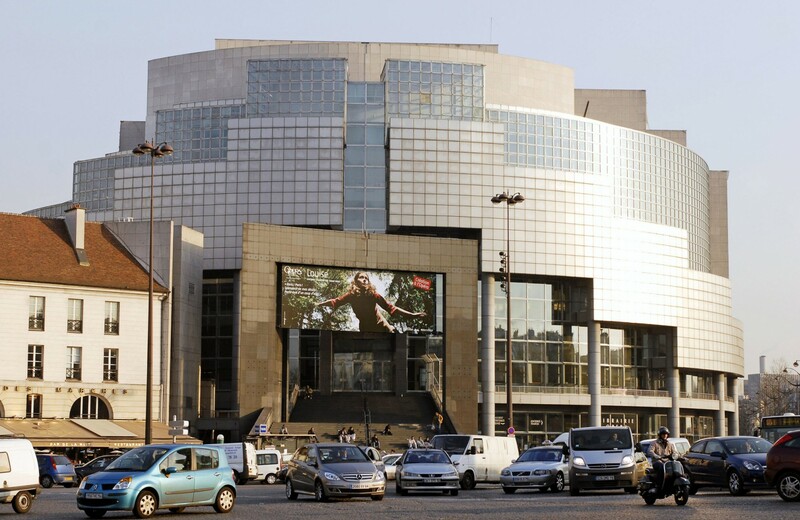 This is precisely why The House was chosen by Opera Bastille to illustrate the love story between Louise, a seamstress living with her parents in Paris, and Julien, a young artist.